Every year we invite our Guest Directors not only to join us on the Festival stage, but to work with us to bring unusual and innovative events to the programme. Throwing open their contact books and giving generously of their time and ideas, our Guest Directors are a defining feature of what makes Cheltenham special. 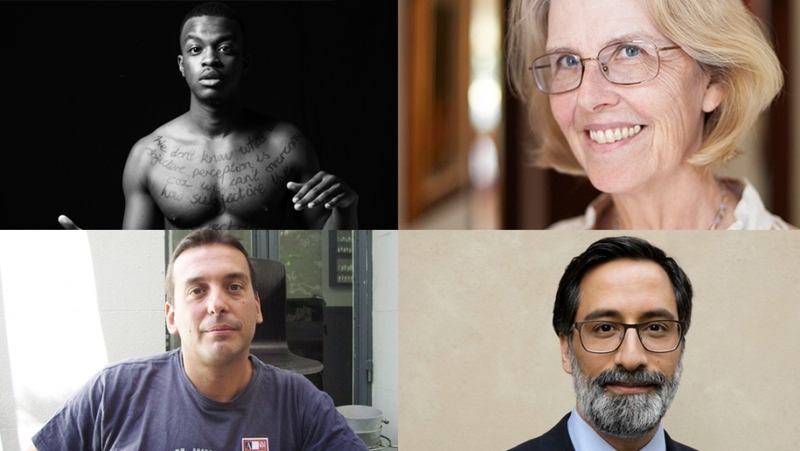 In 2015 we are welcoming four very special guests from near and far, Australian novelist Christos Tsiolkas, Pulitzer Prize-winner Jane Smiley, founder and Editor-in-Chief of The European Alexander Görlach and spoken word artist George the Poet. Christos Tsiolkas burst on to the literary scene twenty years ago, an Australian writer with his finger on the pulse of the shifting social and political landscape of this complex nation. The Slap, his uncompromising examination of family life and the pieties of multiculturalism, shocked the middle-classes and was long-listed for the Man Booker Prize in 2010. Critically acclaimed and hugely respected, we’re honoured that Christos is guest directing our Australia collection, which celebrates the best of Australian writing with some of Australia’s literary greats, including Peter Carey and ‘Bard of Bunyah’ Les Murray, among many others. For me, Cheltenham is a kind of heaven-on-Earth. I love the landscape, the variety of the events and the wonderful company. Jane Smiley, Pulitzer Prize-winning novelist and author of A Thousand Acres, will be introducing the concluding volume of her epic and compelling trilogy, The Last Hundred Years, at the Festival. Guest Director Alexander Görlach, whose recent book is on the origin of German malice (Häme). will be heading our strong Germany collection. Germany is one of our closest neighbours and yet still something of an enigma. We will attempt to unravel the mystery in a series of events reaching from some of the world’s greatest writers, including Franz Kafka, Günter Grass or Bertolt Brecht to Germany’s political present and also the troubled, historical past. I’m firmly convinced that debate is the vehicle that propels us into the future. Cheltenham Literature Festival is the place of defining a better tomorrow. Let’s discuss. George the Poet is a socially motivated poet and certainly the hottest name in spoken word. Blending spoken word and rap, an inner city upbringing with a Cambridge education and a social consciousness with a satirical wit and infectious rhythm, George takes poetry into new territories and to new audiences. We welcome George to Cheltenham this October as a Guest Director to head our Poetry strand and support our Education and Outreach initiatives. Turning our current thinking of the education system on its head, he will perform new material plus excerpts from his first poetry collection Search Party at his exclusive Cheltenham event.